In QGIS I am trying to create a new point layer based on the mid point of a line layer (and keep all the feature attributes in the table). For example, one line feature becomes one point, located on the mid/center point of the line. 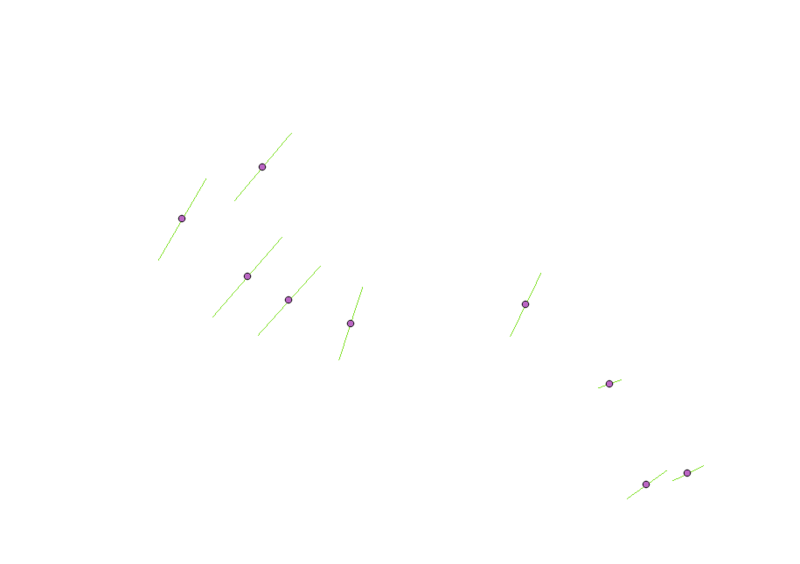 Points to lines only seems to work on nodes, and Create points along lines only seems to work at fixed distances? If python is Ok for you, you can easily do that with that code snippet. Copy/paste this code in the editor of the python console, select your line layer and run the script! You can use the GDAL/OGR tool: Create points along lines. Make sure you specify 0.5 as the distance. This calculates the fraction of the total length (not the distance) as the tool incorporates the ST_Line_Interpolate_Point function. The attributes are also carried over to the output point layer. I would suggest you use MMQGIS plugin that will allow you to find the mid point of the layer. -First I make count densification with a count equals to one, this adds a mid point to every segment. -Then I extract specific nodes, indicating node number 1. Not the answer you're looking for? 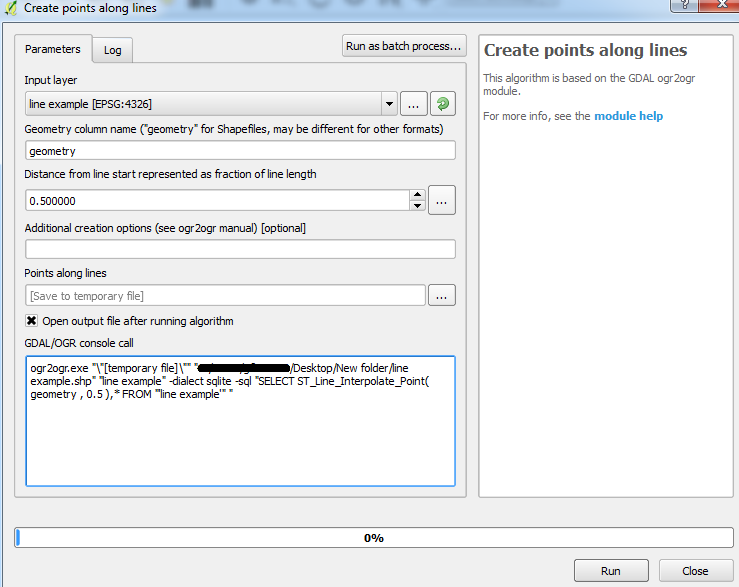 Browse other questions tagged qgis point line distance points-to-line or ask your own question. Is QgsMapLayerRegistry removed in QGIS3? QGIS plugin that adds a point along a line at a specified distance? Convert Line to central point in QGIS? Plot points along a line at specific distance value?